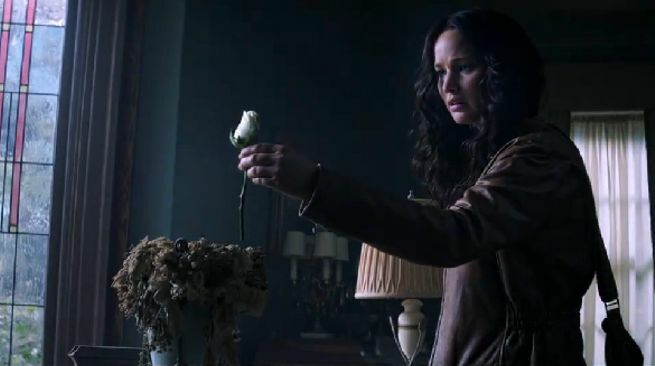 Home / Film / The Hunger Games: Mockingjay – Part 1: It is the things we love most that destroy us. I’m one of those irritating people that had not only never heard of the books before the film, and didn’t read the books until after I’d seen the first of the films. Since then, I’ve been an avid fan. I’m even a Mockingjay apologist. Sure, the writing isn’t amazing, but by that point I’m so invested in and interested by the characters I could have forgiven an awful lot. Something I can’t forgive, however, is Lionsgate milking this cash cow for all it’s worth at the expense of creating a great film. The Hunger Games film franchise is hands down the best YA-adapted franchise of recent years. Unfortunately, however, Hollywood is determined to squeeze every possible dollar out of these massive revenue-generating machines, and has taken to splitting the adaptation of the final novel in the series into two parts (i.e. Harry Potter, Twilight, and let’s not even get started on The Hobbit being split into three films). The problem with this strategy is all to do with story – novels, like films, are traditionally structured using Aristotle’s three-act structure. How does that structure work split in half? Short answer: it doesn’t. Mockingjay is effectively an entire film built out of the set-up, a film produced entirely as a springboard for the next film. Sitting on its own, it gives no closure and very little change or growth. While there is plenty of political intrigue and a close look at the emotional impact of traumatic events, very little actually happens. If you were hoping for an actual plot in Mockingjay Part 1, you will be very disappointed. Rescued from the 75th Hunger Games by Plutarch Heavensbee (Philip Seymour Hoffman), Katniss (Jennifer Lawrence) is recuperating in the strictly managed ex military base, District 13. After Katniss blew up the last arena, the Capitol sent hovercraft over her home district, leveling it to the ground. 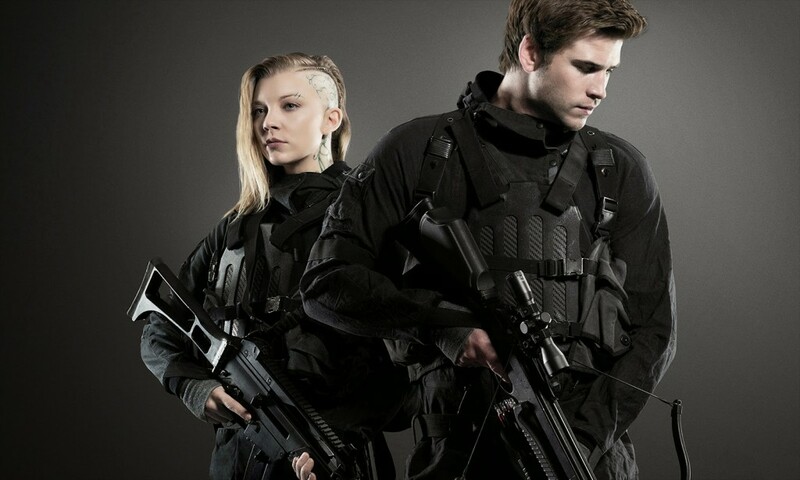 Gale’s (Liam Hemsworth) quick thinking managed to save almost 1,000 members of Disctrict 12, now also refugees at District 13. 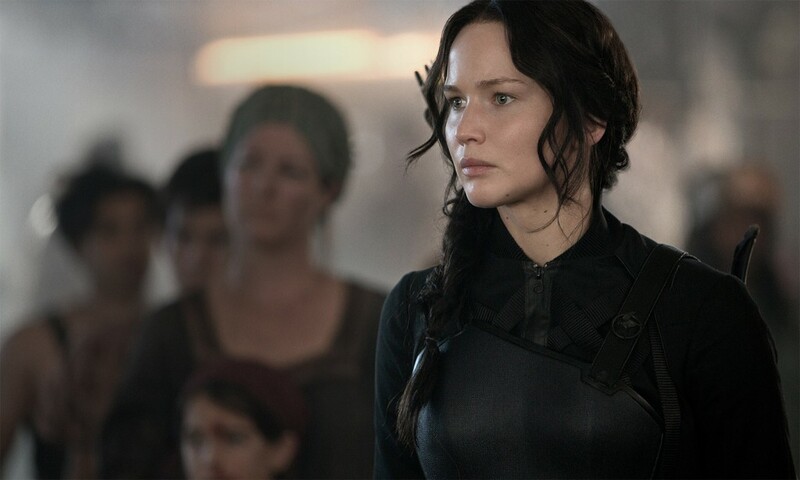 The rebels want to use the damaged Katniss as the face of the revolution in a series of propaganda short films. This role grows increasingly important as the Capitol uses the captured Peeta (Josh Hutcherson) as their propaganda weapon. Similarly to Catching Fire, much of Mockingjay Part 1 is concerned with PTSD – both with Katniss and Finnick (Sam Claflin). 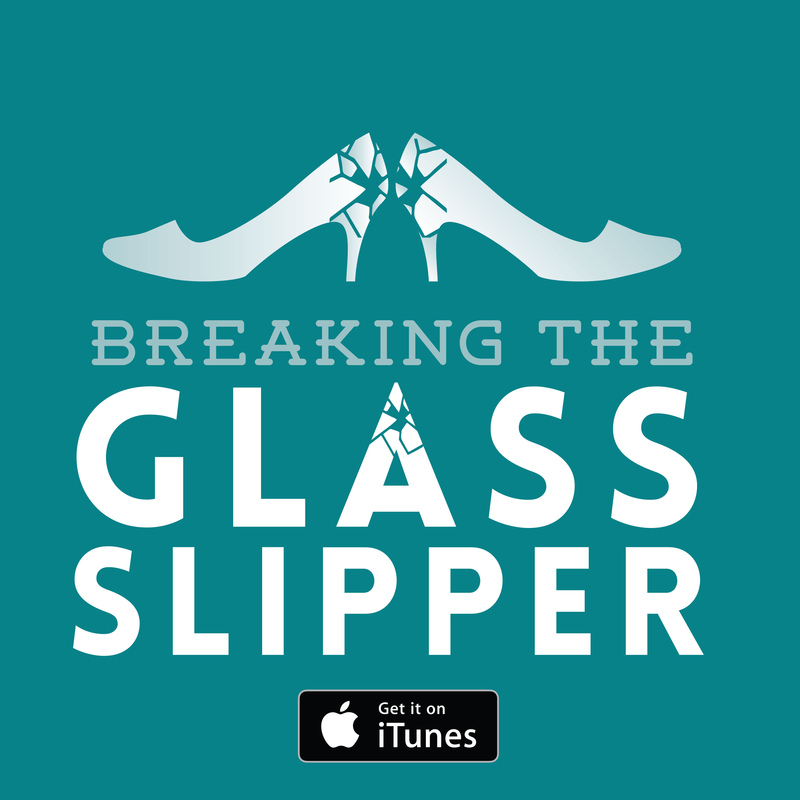 While it is an important topic to cover, this film gives Katniss little opportunity to rise above it. It might be more accurate to a PTSD sufferer’s actual experiences, but it limits what the audience can root for. 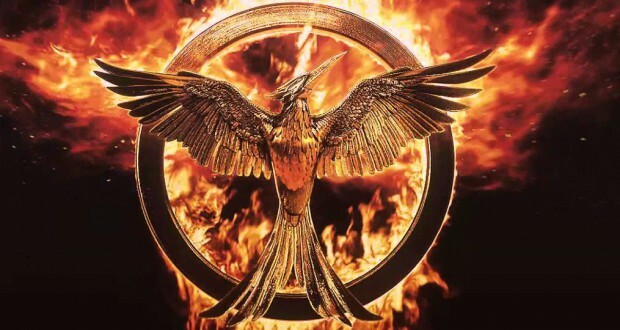 We love Katniss for her general badassery – and like President Coin (Julianne Moore) and Heavensbee, we too are searching for the powerful Mockingjay we all fell for in the earlier films. Sulking in tunnels, crying, feeling overwhelmed – while all acted spectacularly by the ever brilliant Miss Lawrence, there’s just too much of that and not enough of her taking charge of her own life. Finnick’s mental descent is by far the more interesting of the two. Having been through the Hunger Games a decade before the events of Catching Fire, Finnick was fairly well adjusted for someone who had such a traumatic experience. Presumably he already went through PTSD-like symptoms Katniss shares in Catching Fire and has come through the other side. But we find a new Finnick in Mockingjay. The Capitol has captured his love, Annie, and is using it to taunt him. He plays with a piece of rope, knotting it in various patterns, over and over as a way to keep his hands and mind busy. The smiling, cheeky, apple of the Capitol’s eye Finnick we met in the previous film is long gone. Unlike Katniss, Finnick chose to be a part of the revolution and is feeling guilty as a consequence of that decision. Both of them are mostly mentally absent throughout much of the film. Their introverted, reflective state of mind leaves them unable to make connections with those around them. And who could blame them? The main plot elements of Mockingjay Part 1 come from the political aspects of the story. Co-written by Danny Strong (of Buffy and Gilmore Girls fame), who previously penned the well-received The Butler, the tale is a thrilling look at the politics of war. War isn’t as straightforward as enemies fighting enemies. Katniss learns that she has power and manipulates it to get what she wants – Peeta. 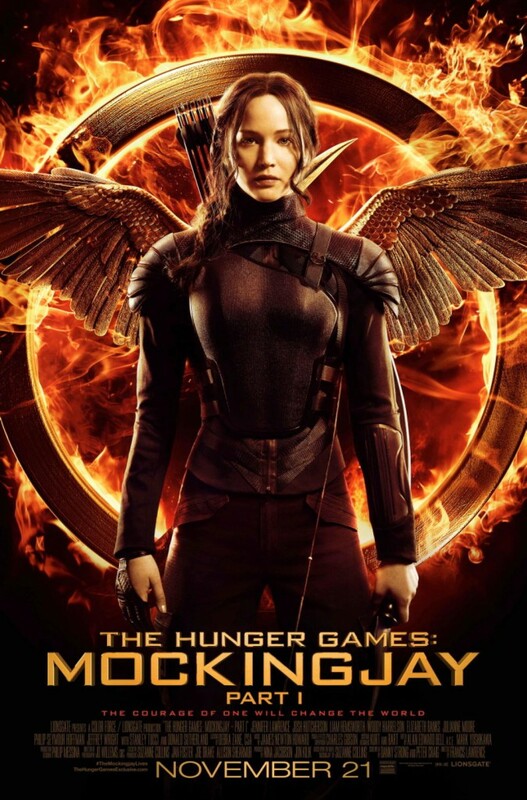 When the film explores the idea of needing the Mockingjay (Katniss) as a rallying point for the revolution, it finds traction. Unfortunately, Strong and co-writer Peter Craig are too faithful to the novel. Heavy-handed, clunky dialogue that lands flat is often lifted directly from the novel, proving again that adaptation from novel to screen is harder than you might first expect. The trouble with all this political intrigue is that there is very little threat to them. The rebels do manage to build the resistance steadily throughout, and all their efforts eventually pay off in whatever they are doing. To use the oft-told writing metaphor of ‘stick your character up a tree then throw rocks at them’, in Mockingjay it seems more like they are up a tree, but there’s no rocks (the figurative tree, not the literal trees that Katniss does actually spend much of her time in the first two films up – though, sadly, she’s up no trees at all in Mockingjay). There’s absolutely no action. For intrigue and manipulative politics to really grab an audience’s attention, there needs to be greater consequences for it. Those consequences are there in the original material, but most of them have been saved for Part 2, leaving the audience without any closer or sense of progression at the end of this third installment of the franchise. The spoilerific, book reader’s p.o.v. The split happens more or less where expected. They rescue Peeta, Annie, and Joanne from the Capitol to find that Peeta has been conditioned to want Katniss dead. While Coin presents their rescue as a success, Katniss is left injured, unable to speak, and devastated at the loss of her rock, Peeta. 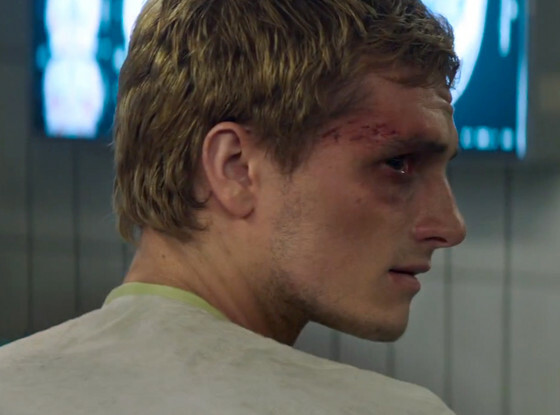 As expected with splitting the story here, there is a sad lack of Peeta throughout the film. The filmmakers try to negate this by adding a few dream sequences, flashbacks, and added focus on Peeta’s speeches from the Capitol (with a disappointingly serious Caeser Flickerman). Being set almost entirely in District 13 also means the story lacks the juxtaposition of the sparse, harsh atmosphere there with the excesses of the Capitol. 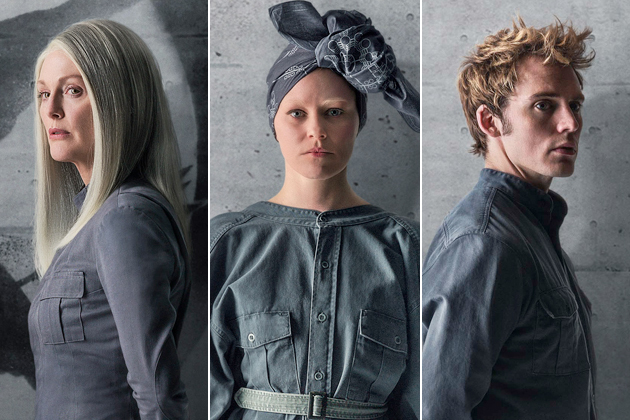 The biggest divergence from the novel is the use of Effie Trinket. Where it is Katniss’s prep team who are rescued from the Capitol in the book, they use Effie for the film. This makes a lot of sense given the prep team received minimal characterization in the previous films along with Elizabeth Banks being a significant star in her own right. And it works. I really enjoyed Effie’s approach to the greyness of life in Disctrict 13 while being one of the only people who really seems to understand Katniss and what she is going through – something that is surprising given her general appearance as shallow and frivolous, but the change in her character is a welcome and warm one. Verdict: An unsurprisingly disappointing installment in an otherwise epic franchise. The good news is that Mockingjay Part 2 is set to be a high energy, action-packed, thrilling ending for the series.